SMi Reports: 8th Annual Orphan Drugs and Rare Diseases Conference to bring together pharmaceutical companies, non-profit organisations and orphan drug developers to explore alliances and facilitate progress. Research into orphan drugs and rare diseases is facing challenges such as Brexit, lack of research, knowledge and experience, gaining funding, and assembling large enough sample sizes of affected patients in order to effectively study the diseases. The importance of collaboration between patient organisations, communities and the pharmaceutical industry has never been more important. 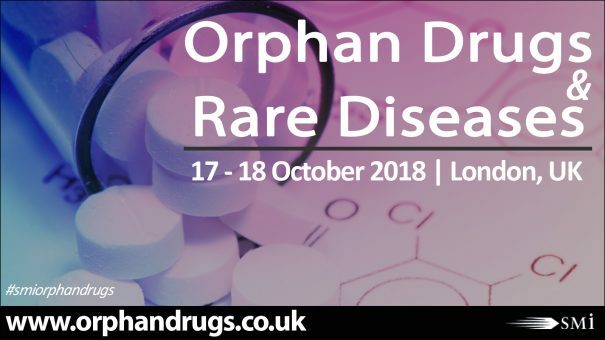 With this in mind, this year’s 8th annual Orphan Drugs & Rare Diseases conference, taking place 17th – 18th October in London (http://www.orphandrugs.co.uk/pharmaphorumpr), aims to explore alliances in an effort to facilitate the development of effective treatments. Since such a small population of people are affected, conducting trials and research is very difficult. The two-day conference will host expert speaker Toni Mathieson, Chief Executive at Niemann-Pick UK, who will discuss “The Impact and Challenge of Research in a Small, Rare Patient Population: The Experience of NPUK”. Also speaking at this year’s conference will be Patrick Mollon, Founder and Owner of Mollon Health-Economics, who will explore the topic of “Market Access in Rare Diseases: Challenges and Future Strategies”, focusing on the solutions and strategies to improve future access. Nicolas Sireau, CEO and Board Chair of the AKU Society will also be sharing his personal experiences at the conference. SMi caught up with him recently to discuss the challenges facing the field, especially in funding research. “The biggest challenge that we face is access to funding.” Sireau states. “We must rely on the EU commission, which receives hundreds of applicants and only a small proportion manage to get the funding.” Sireau will also be giving a keynote presentation at this year’s highly-anticipated event “Patient Involvement in Orphan Drug Clinical Development: The Experience of the AKU Society”. This gives new hope for patients and families affected by rare diseases as a global engagement will provide more research opportunities, more funding, larger sample sizes of affected patients and as a subsequent result, a better quality of studies and treatment. At Orphan Drugs & Rare Diseases 2018, delegates will have the chance to hear the first-hand experience of the effect the recent challenges have had on patient organisations and industry leaders, as well as the unparalleled opportunity to network amongst international key players and scientific pioneers. As well as the conference, SMi will be hosting an interactive workshop on “Working together for HTA in rare diseases – A step too far or the way forward?” led by Josie Godfrey, Director, JG Zebra Consulting, on 16th October.